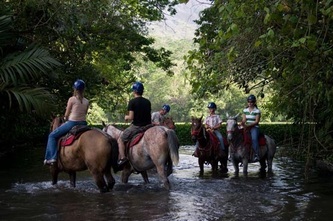 This is horseback trek with free hot thermal water day pass, is top value for any visitor. You explore the beautiful country side and rain forest right in front of the imposing Arenal Volcano, then shower and enjoy four star hot thermal waters or cool pools with water slides, free. 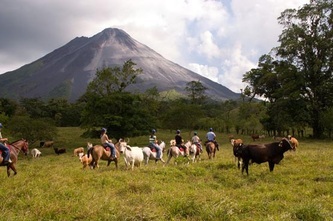 Welcome to an adventure on horseback to one of the most natural and surprising features of Costa Rica: Arenal Volcano. 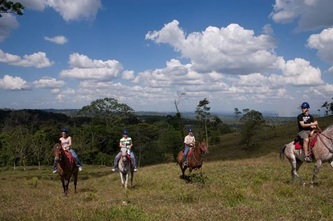 Witness this natural scenery throughout the route planned by Don Tobias, renowned horse trainer from this region. A professional team of guides prepares visitors with pertinent information. 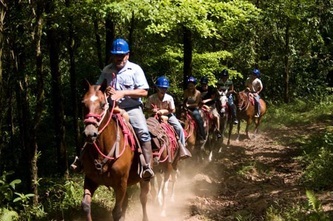 Child-sized equipment is also available. 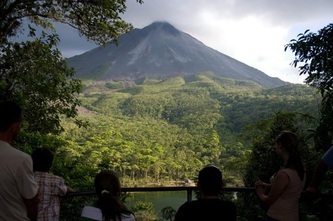 All of the tour takes place on private lands under the shadow close to Arenal Volcano with magnificent views to be expected if weather permits. 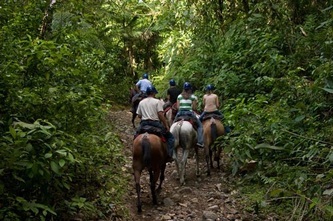 You will be crossing through rain forest and beautiful pastures. 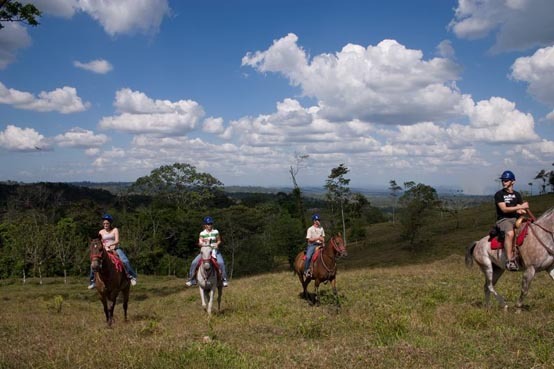 This horseback tour is unique and original, and could be considered the best in Costa Rica. After your guided ride, you receive a COMPLIMENTARY FREE day pass to Hot Thermal Water Pools & Cool Pool Complex. Enjoy this equine adventure fully and observe the majestic and grand Arenal Volcano, then freshen up and relax in those thermal waters or cool pools with optional fun water slides.